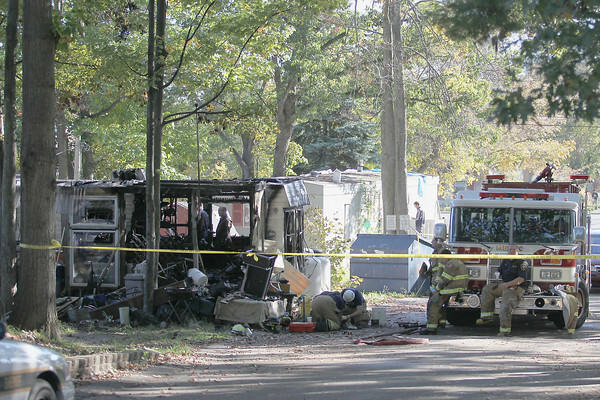 Investigators look through the burned-out remnants of a mobile home that burned Thursday morning. Grand Traverse Metro Fire and Grand Traverse County Sheriff's deputies responded to a mobile home fire Thursday at the Cherryland Mobile Home Park at 3011 Garfield Road around 7:30 a.m. The body of one man was found in the back of the home, but the cause of death was unclear.